We are excited to bring you our new formulation of Ultra Enhanced Indo. 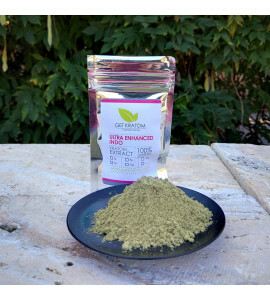 Made from pure alkaloids of deveined Indo kratom and then applied to our favorite Bali leaf, UEI is standardized at 17% alkaloids by weight. Ultra Enhanced Indo There are 7 products.